I’ve never been a fan of the turbo trainer, I don’t like the fact that the bike is so rigidly fixed and all movement is absorbed by the frame. I know that the debate is out on whether a turbo trainer can damage a carbon frame, but I’m a design engineer, I understand the design process and I don’t think that carbon bike frames are designed to take loads exerted on them while riding on a trainer. 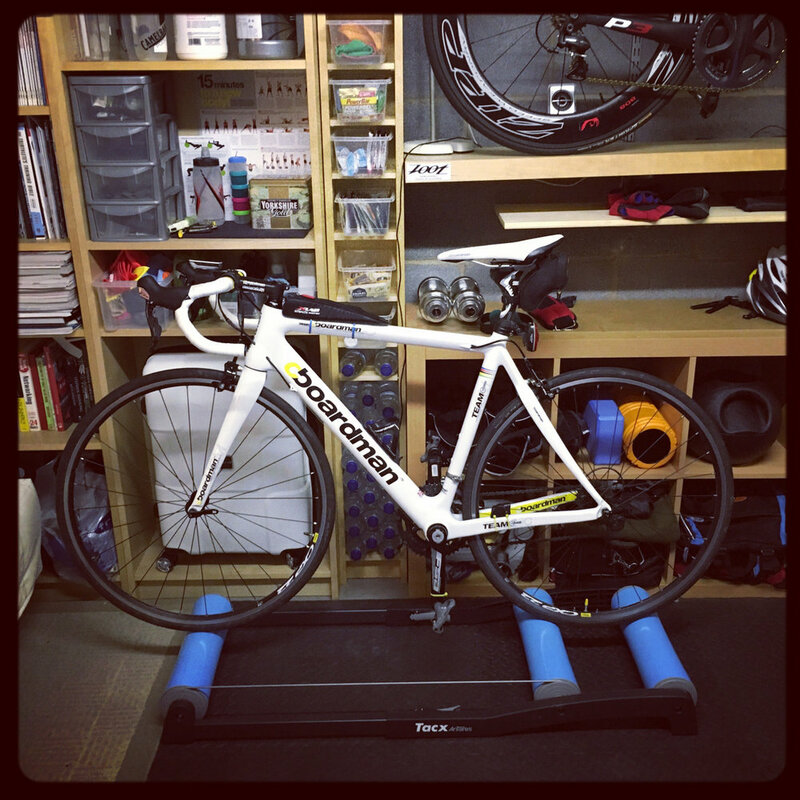 Rollers are different, the loads on the bike are almost exactly the same as on the road. The rollers arrived and the box didn’t show any signs of abuse, but the contents were spread out everywhere! most of the bearings had come out of the rollers and needed to be found, then reassembled. Assembly is pretty easy, all tools are provided and the instructions are clear. Once assembled, its time to try them out, this is where it gets fun! The key to riding rollers is keep a good speed and relax! don’t grip too hard and don’t look down. The rollers themselves are parabolic, so once you relax, the bike will naturally fall to the center of the rollers. I will be setting up either Zwift or TrainerRoad next week. Both these systems connect to the power meter for structured workouts.